WASHINGTON - The Winter Classic is moving south of the Mason-Dixon Line, which means it's time to check the forecast. "I experienced the weather in Pittsburgh, and I see what can happen city-by-city when you play outdoors," Leonsis said at the team's annual fan convention, "and I just hope that we get a cold spell and maybe even some snow." The average high temperature on Jan. 1 in Washington is 7 degrees C, with a record of 20 set in 2005. 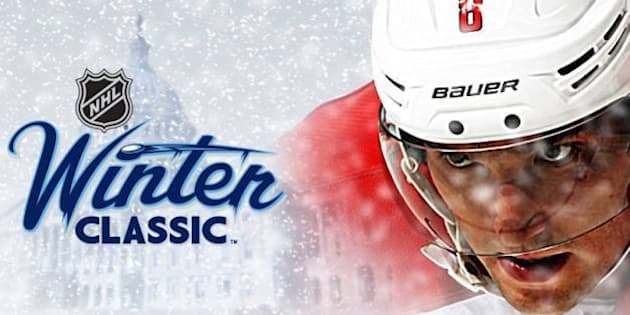 This season's Winter Classic will be held in Michigan, but a good litmus test for outdoor hockey in a warmer climate will come Jan. 5 when the Anaheim Ducks will play the Los Angeles Kings at Dodger Stadium. Leonsis said he'd like to attend the game at Dodger Stadium, and noted that there have been technological advances that keep rinks cold when the temperature is unseasonably warm. He said it sounded like a "good idea" when a fan suggested that the game in Washington be held at night when it's colder, but he also said that decision will be left up to the NHL. Still to be determined are a venue and an opponent. NHL Chief Operating Officer John Collins said the league will consider Nationals Park, RFK Stadium and FedEx Field. Leonsis would prefer to rule out FedEx Field, which is located outside the city in Landover, Md. "I think it should be in Washington, D.C.," Leonsis said. There have been suggestions that the game be played on the National Mall between the U.S. Capitol and the Washington Monument, but the Capitals say there are too many logistical hurdles to make it a feasible venue. The decision to play the game in Washington reinforces the city's recent emergence on the national hockey scene. The Capitals have become a perennial playoff contender with three-time league MVP Alex Ovechkin, and they've sold out 181 consecutive games. Collins also noted the strong D.C. fan contingent that made the trip to Pittsburgh for the 2011 Classic. "One thing I did learn from that game," Collins said. "There's only one thing that Pittsburgh fans and the Caps fans agree on — and that's how much they hate Philadelphia."